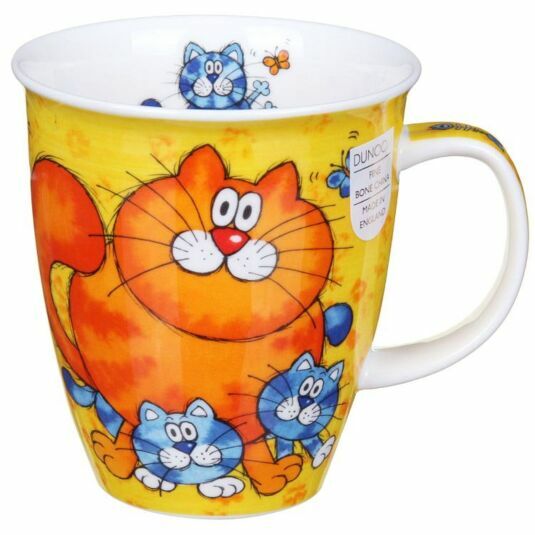 A fat, orange stripy cat with a clutch of blue kittens features on this mug from Dunoon. The cats are depicted in a humorous cartoon style with huge cheeks and bristling whiskers. 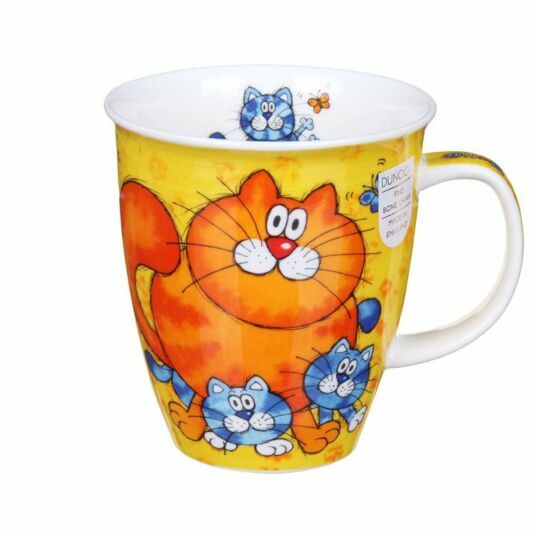 The mug is produced in bright colours, blue and orange cats on a yellow background. A perfect gift for cat lovers, and people with a sense of humour.